Parsley, chives, chervil, sorrel, pimpinelle, borage and watercress: "Every connoisseur knows that these are the necessary ingredients for the green sauce." The well-tried specialty is a seasonal highlight, especially in Southwest Germany, and especially at Easter," says Hendzel, responsible for Purchases and Sales at Böttcher. The horticultural business, based in Bürstadt, is now supplying the seven herbs in their own appropriate packaging. 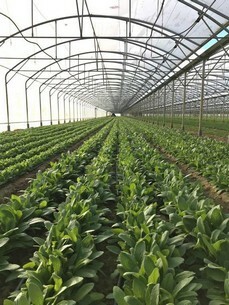 The herbs from Bürstadt are delivered throughout the year; at this time of year a particularly high demand is being felt in the production hall. Several times a day, the products from southern Hesse are freshly harvested and immediately processed and packaged. Hand-rolled in traditional paper rolls, in resealable boxes and also as loose kiloware, the coveted packages of ingredients ultimately end up in regional and nationwide trade. The main customers include food retail, catering and wholesale markets.